The Estonian community has attended three public information sessions held by the Estonian Centre Project team to bring everyone up to date on the development process – and many innovative ideas have been discussed as we move forward. The sessions were held at the Estonian House and project details were provided by project manager David Kalm and architect Alar Kongats. Project experts and volunteers have been on hand as well to answer questions. There is one more information session in our four session series, which will take place April 4th at the Estonian House from 7 – 8.30 p.m. Please plan to attend as there will be further updates to inform the community. One additional information session is planned before the summer. 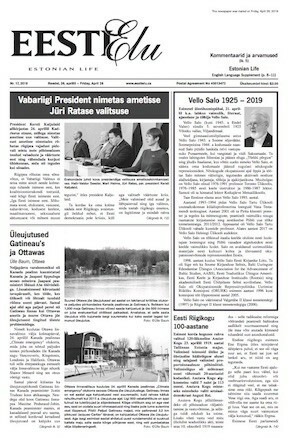 Once scheduled, notices will be posted in Eesti Elu and on-line in advance. 1. How are you ensuring that seniors’ voices are included in the process? Our revered senior members of the community, the women and men who dreamt big, built and supported the Estonian community in Toronto, are integral to the success and sustainability of the Estonian Centre Project. Their concerns and needs are being heard and addressed as part of the project’s planning. 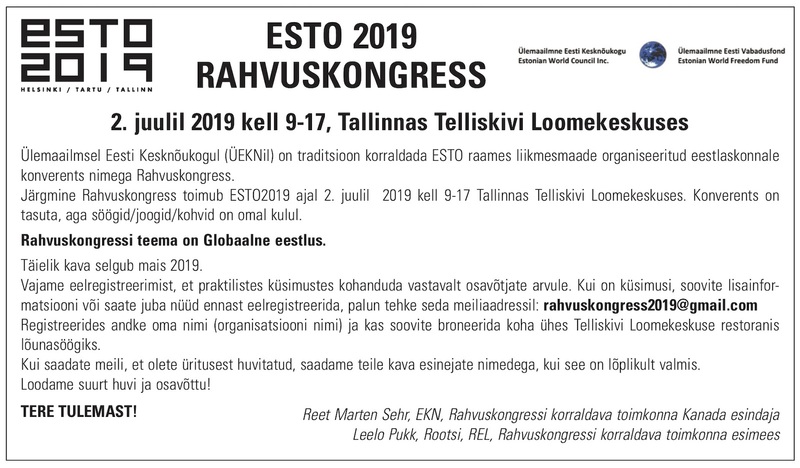 The Pensioners Club leaders are scheduled to participate in the March 28th consultation meeting, and the information session at Ehatare for the residents of Ehatare and Eesti Kodu has been rescheduled to March 29th. These meetings will provide opportunities to discuss, in more detail, the concerns that resonate such as parking (not on-site, too hard to find spot, too far to walk, too expensive), location (busy traffic area means too difficult to get to, unsafe area, noisy), accessibility in general that would prevent them from attending many of their favorite events and activities. The project team is well aware of these issues and has several possible solutions underway such as having a drop-off zone with short-term parking and ensuring it’s a short distance to walk to the building, on-site parking at the Tartu College lot and affordable valet-parking. Discussions with other groups have generated numerous innovative ideas around ensuring all generations have easy and safe access to the building. 2. How can we memorialize and honour our founders and ancestors in the new centre? There is no question that It’s important to honour the past. Many good ideas have been discussed to find ways to memorialize people who built and founded the Estonian House. 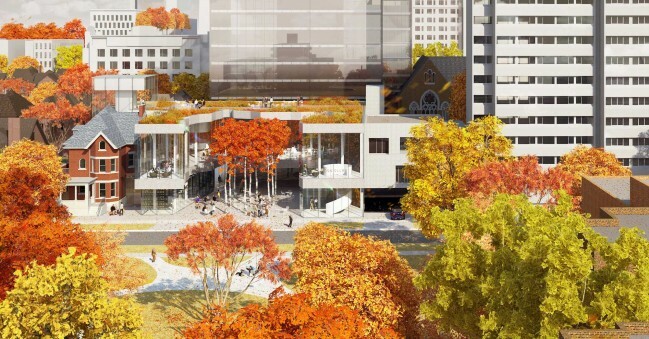 We have also heard some beautiful ideas at the community consultation meetings for honouring and memorializing people that could include incorporating physical parts of our Estonian House into the new site, and creative ways to display and ensure that their contributions live on with the next generations. These conversations will continue as the final details are examined in creative and inclusive ways. 3. What is an operating sustainability model? As part of the due diligence process, the project team is developing an operating sustainability model for the Estonian Centre. The goal of the model is to ensure that annual operating costs are covered, as well as establishing there is a capital reserve fund to ensure long-term viability of the centre. In an ideal situation long-term, we hope to generate enough funding annually to cover Estonian programs in the Centre. An important component of this project is maximizing the ratio of revenue-generating space to non-revenue generating space. The goal remains that revenues from all sources will cover operating costs and contribute to a capital reserve fund to ensure the long-term viability of the centre. The operating model will prioritize the time slots for Estonian programs, and ensure that revenue generating events for the non-Estonian community will be held in other time periods. There should be a opportunity for the Centre with Monday to Friday rentals. With the accessible and central location of the Estonian Centre, we are investigating corporate and social events, as well as opportunities with OISE, University of Toronto, and other institutions in the area.